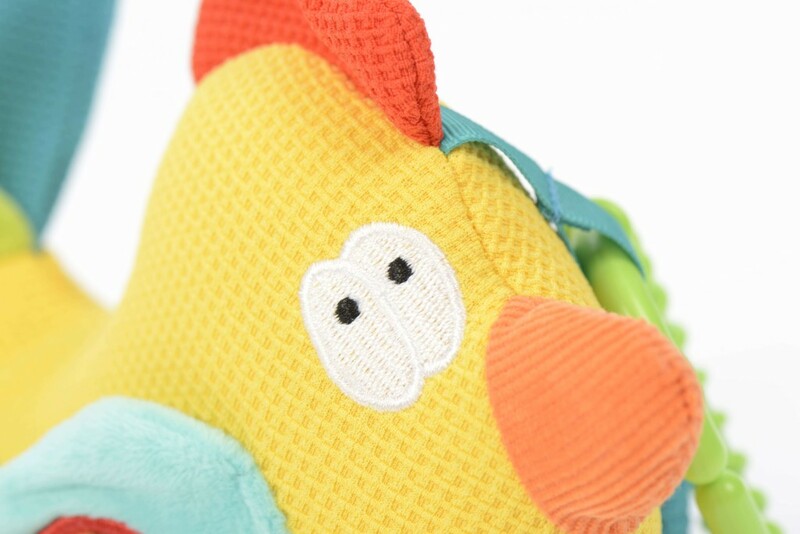 This fun chicken is made from bright, textured fabrics. 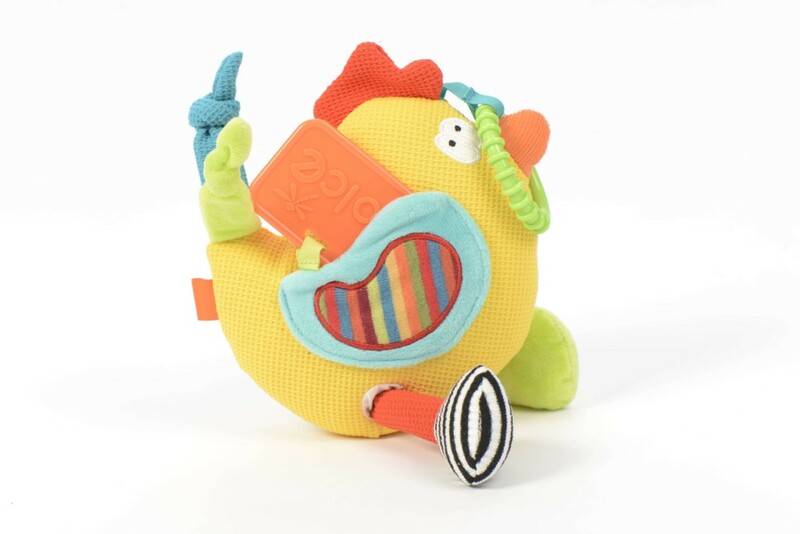 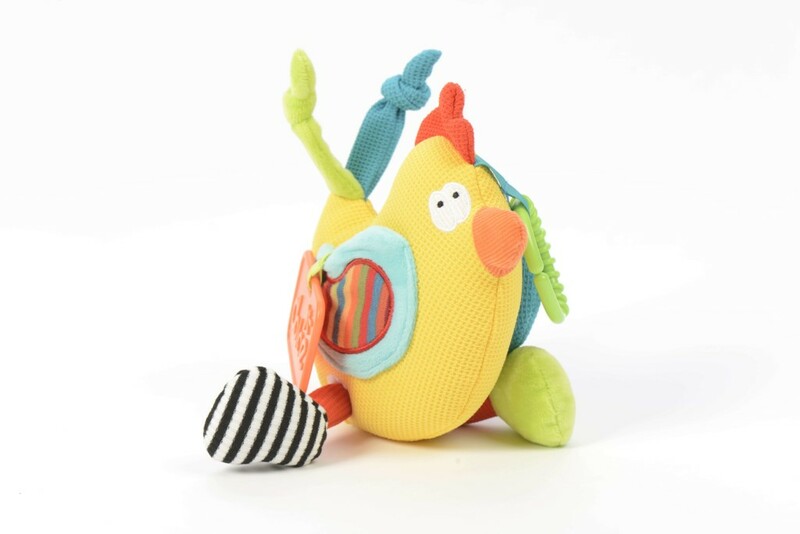 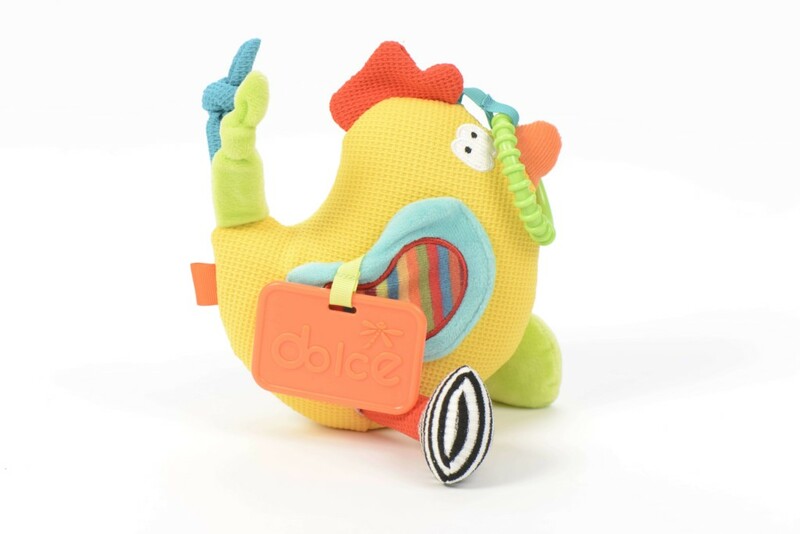 The crinkle tailfeather, squeaker on the crest and legs that extend when you pull them makes this toy hours of fun for young minds. 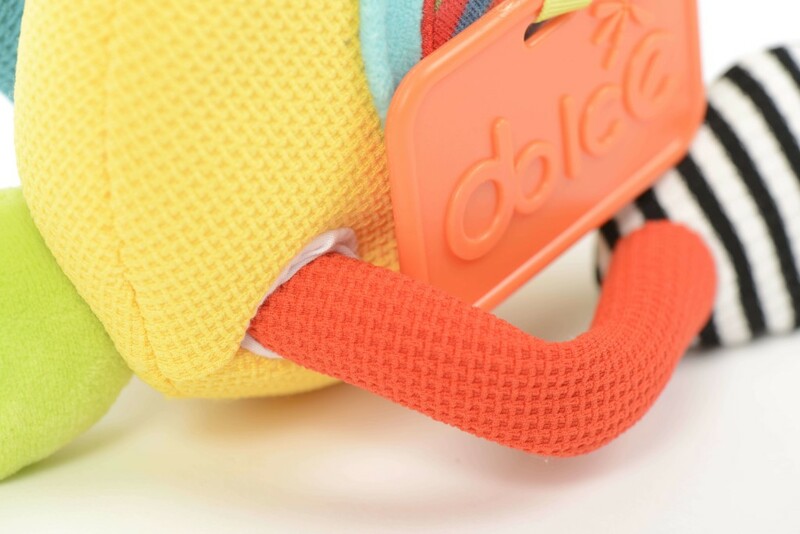 The wing also doubles as a pocket to hold the teether. 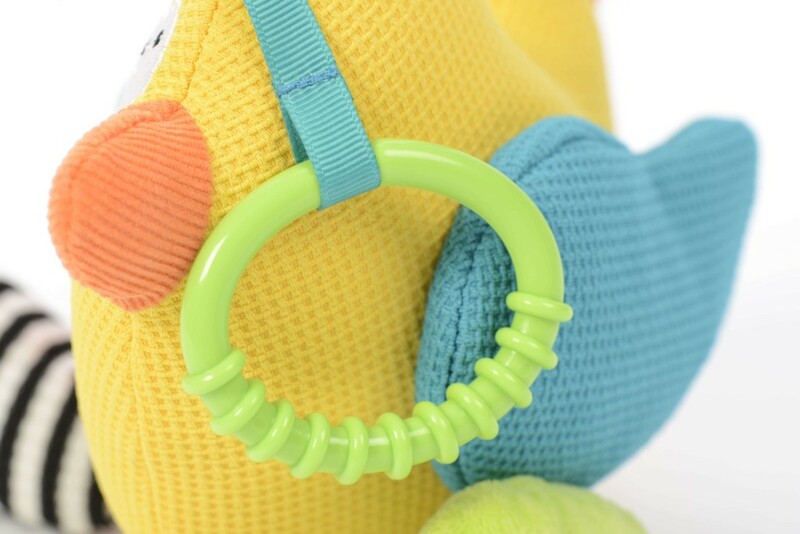 It also has a teether connector ring so it can hang from buggies or cots. 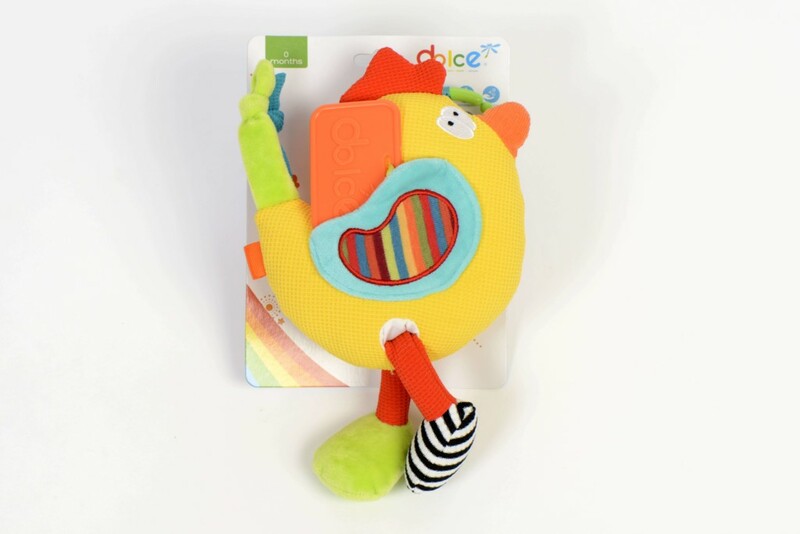 • Touch: The different textures, crinkle tail and bean bag interior make it perfect for cuddles. 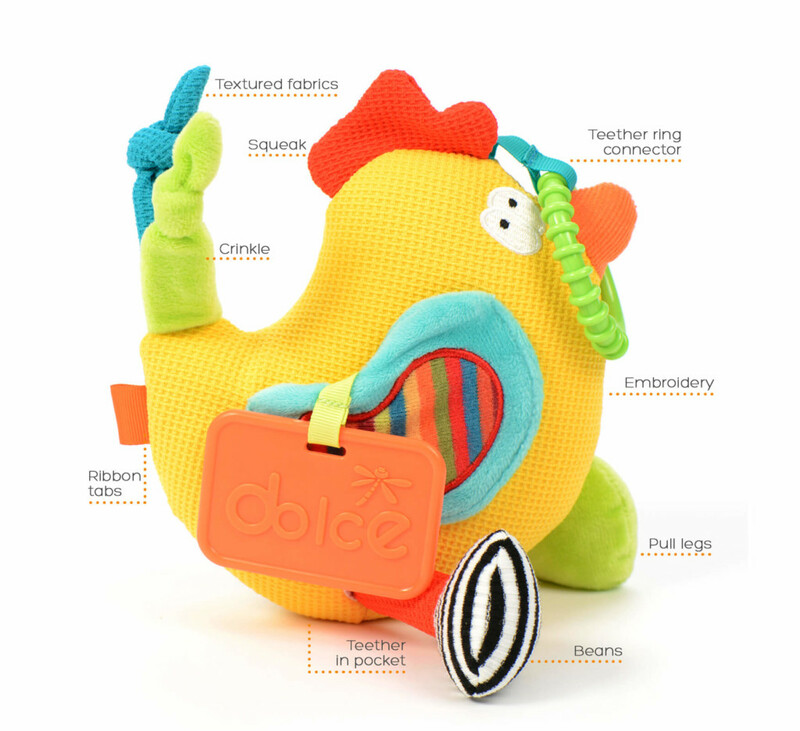 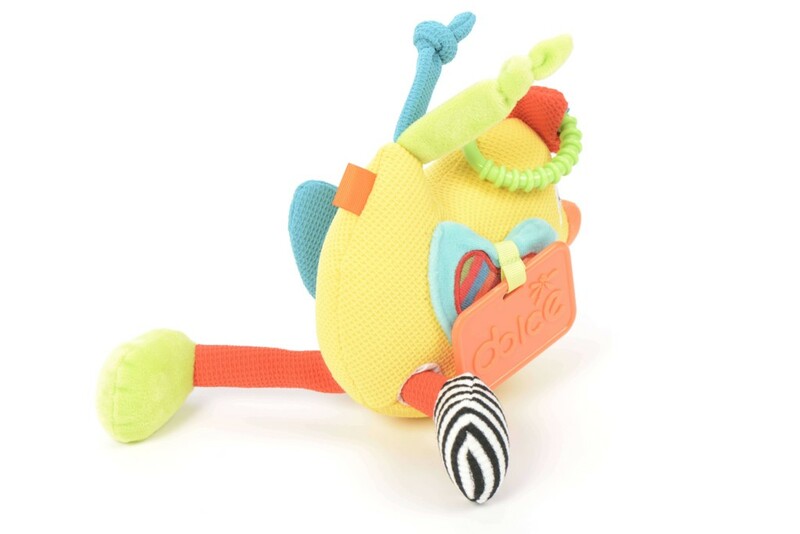 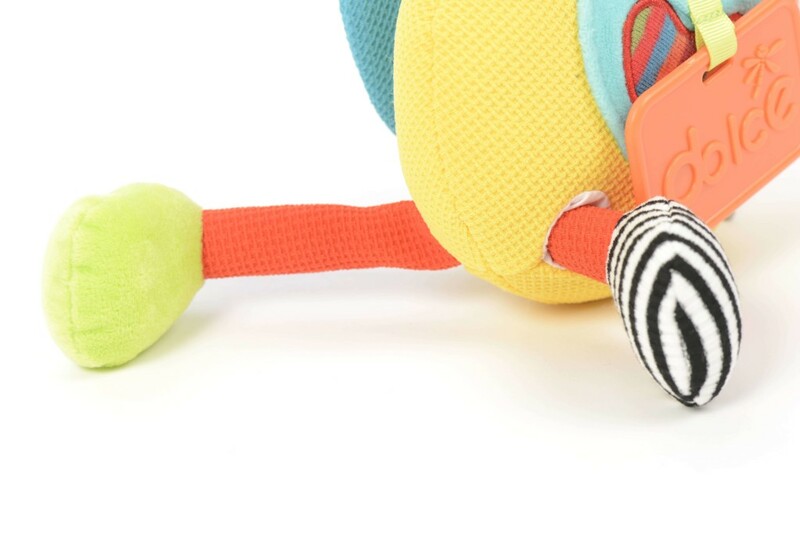 • Helps to connect motor skills with auditory learning by squeaking and pulling the legs. 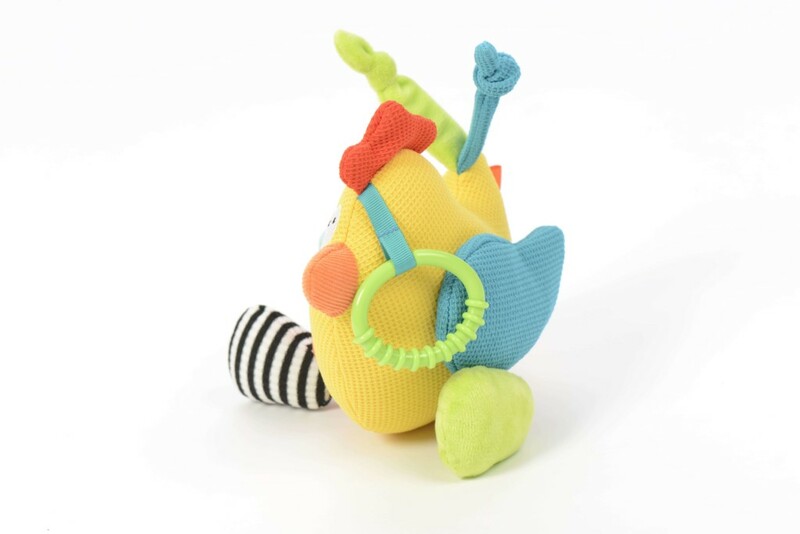 • Removing the teether from the pocket and putting it back again also develops hand eye coordination.